Shamrock Lake consists of fifty eight acres it has a depth of eight feet. Fish include Panfish, Largemouth Bass & Northern Pike. 312 feet of frontage. 3.83 Acres room for home, garage and toys. 6817 & 27 N Shamrock Lake Rd Lot 9 & 10. From Hawkins take County Rd M north to Shamrock Lake Rd- follow to lot. Sign on the lots. 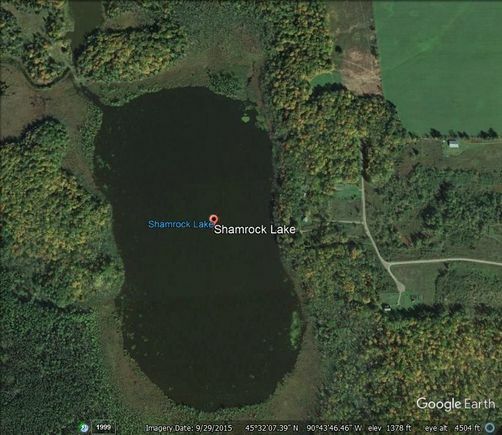 The details on 6817 N SHAMROCK LAKE ROAD: This land located in Hawkins, WI 54530 is currently for sale for $25,000. 6817 N SHAMROCK LAKE ROAD is a – square foot land with – beds and – baths that has been on Estately for 597 days. This land is in the attendance area of Ladysmith High School, Ladysmith Middle School, Health Care Academy Of Ladysmith Hawkins School, and Ladysmith Elementary School.